Online ordering menu for Edgewood Pizza. 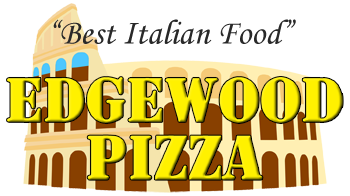 Come down to Edgewood Pizza where we will fulfill all your pizza needs! Order one of our delicious pizzas or grab a bite of one of our tasty calzones. Order online for carryout or delivery today! We are located on the corner of Hamilton Ave and Edgewood Ave, just a few minutes from Hamilton Park and Washington Park.